Wohoo! 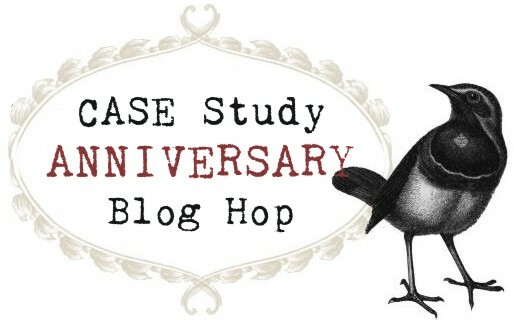 It’s time for CASE study’s first anniversary blog hop! Hopefully you’ve found your way here from Dawn’s blog. If not then why not pop over to the CASE study blog to start at the beginning – there are so many talented designers sharing their creations today. Oh and many of the DT are offering prizes to random commentors. 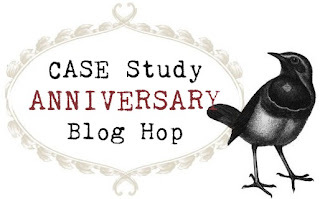 After you’ve visited me here then make your way to Eva’s blog but if you loose your way at all then call back to the CASE study anniversary post where Chupa has the rules and full DT list. Make sure you call by everyone to give yourself the best chance at those great prizes! The idea for today’s hop is to CASE one of our DT gals – past or present. I was soooo spoilt for choice but eventually chose this card by the wonderful Aimes who’s clean and simple style I just love and who just happens to be the sweetest person to boot. Here’s a little look at the original. Now there’s a story to tell as to why I chose this card to CASE. So sit back and let me ramble on for a moment! 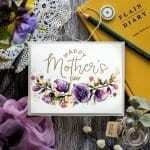 Back before I made my own cards when I used to wander the delights of the boutique card shop down the road I would’ve picked Aimes’ card out. I loved CAS design which just let the image and the colours speak for themselves. 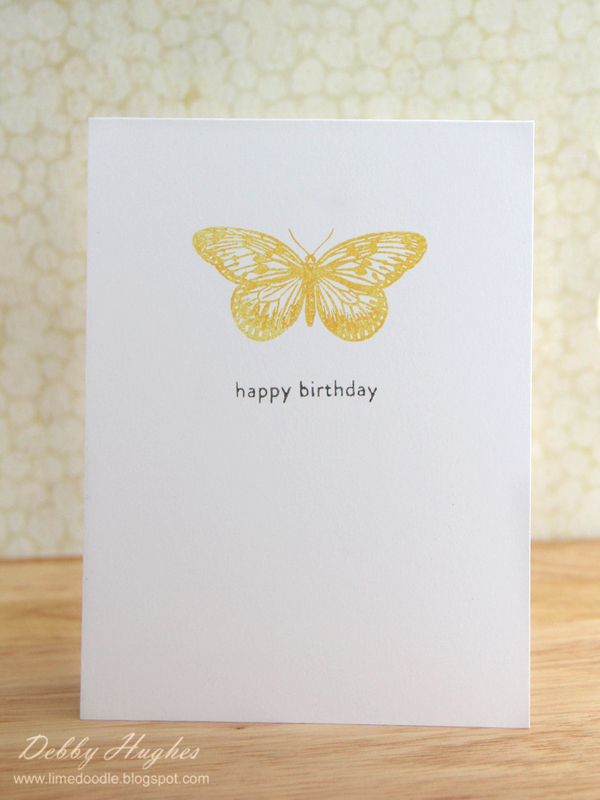 When I started making cards for myself and others I wandered away from this style and tried too hard. I felt I hadn’t put enough in to the card unless it had lots of detail and just well, MORE. The cards weren’t “me” any longer. Over time I’ve tried to find my way back to what I like and have the confidence that what I make is good enough. Do you follow me? Anyone else feel that way at times? 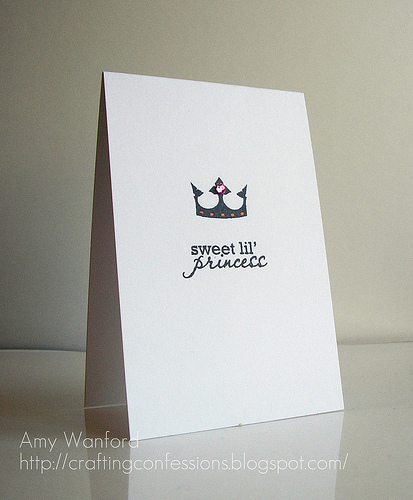 This is why I chose Aimes card because this design is good enough (actually it’s fabulous but you follow my drift!) in it’s beautiful CAS, one layer, here I am, style. So keeping all of the above in mind I made this notecard. 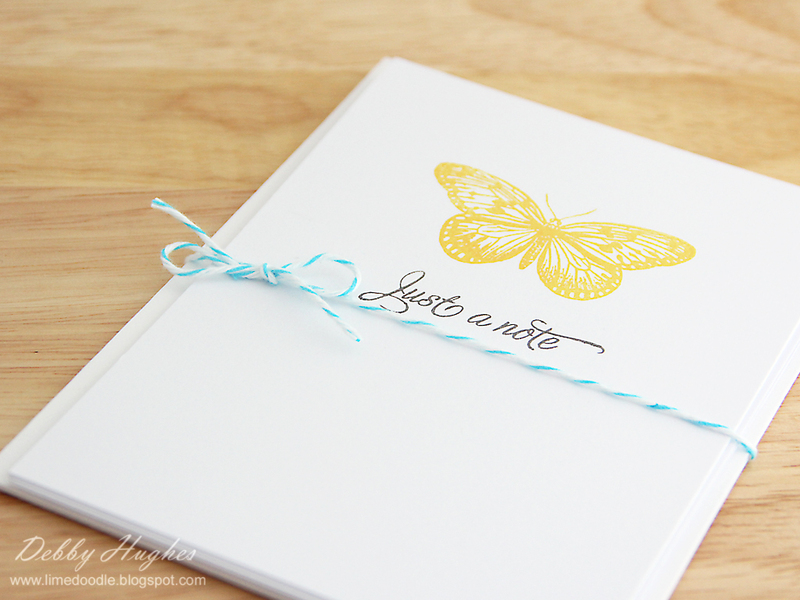 A beautiful detailed butterfly stamp by Hero Arts just shines in an on trend dark yellow ink. A simple sentiment is all that’s needed to finish it off. 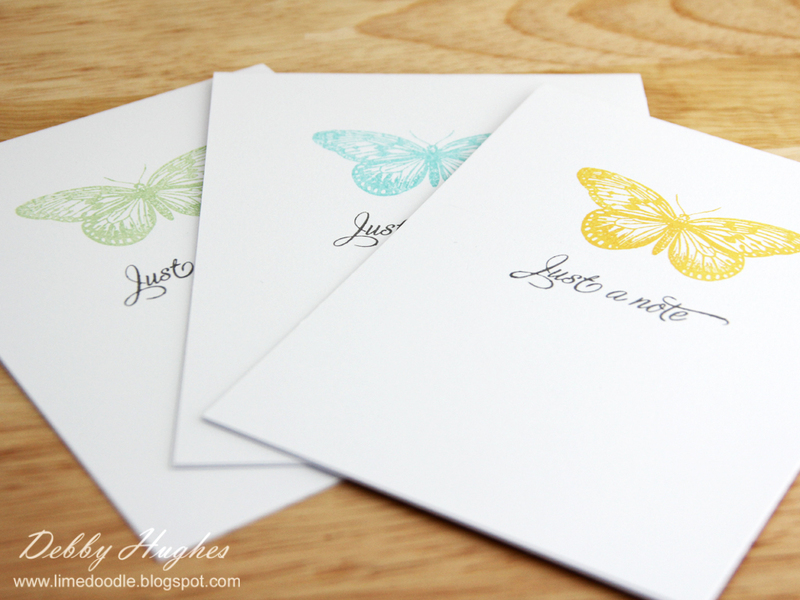 Then I stamped the notecard in a couple of different colours creating a set of three to give as a little gift sometime. and then because I liked them so much I made two more sets! 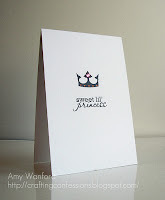 Then while my stamps were still out I made a little birthday card too. I chose my favourite of the colours the yellow one again. For some reason I didn’t catch the light so well with this photograph. And then because I just couldn’t stop, I wanted to show that this design can be cute and quirky too! So I broke out some new (to me) Paper Smooches stamps and made this card to send to a friend who I haven’t been able to meet up with so far this year. Which brings me to a little something for you guys for reading to the end of this post! Leave a comment by Tuesday 09 August 20:00 GMT (15:00 EST) and one random comment will be picked to receive this “Hang Ups” stamp set from Paper Smooches. The winners will be announced on the CASE study blog on Wednesday 10 August. 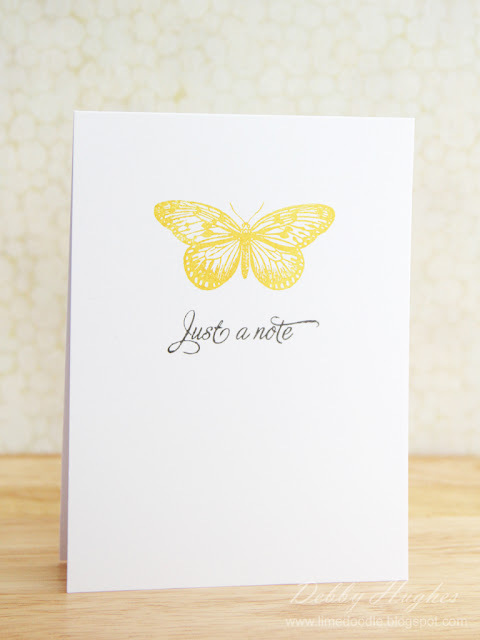 Kim shows here how to think outside the box with this set to really get the most from your stamps. Aren’t Kim’s designs just the cutest! I bought a couple of sets and can’t wait to get them inky! 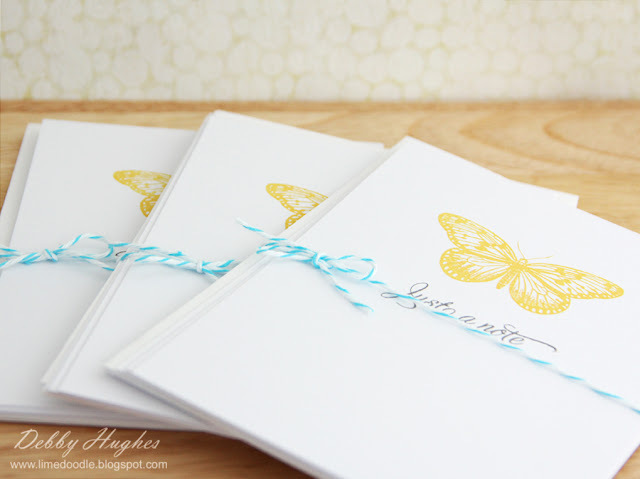 So leave a comment for a chance to win this stamp set and then continue hopping along over to Eva’s blog! Oh and one last thing, I’m entering the notecards into the fabulous Moxie Fab’s fanatical about botanical challenge. Love these simple and elegant cards! just fab! These cards are so cute and easy. 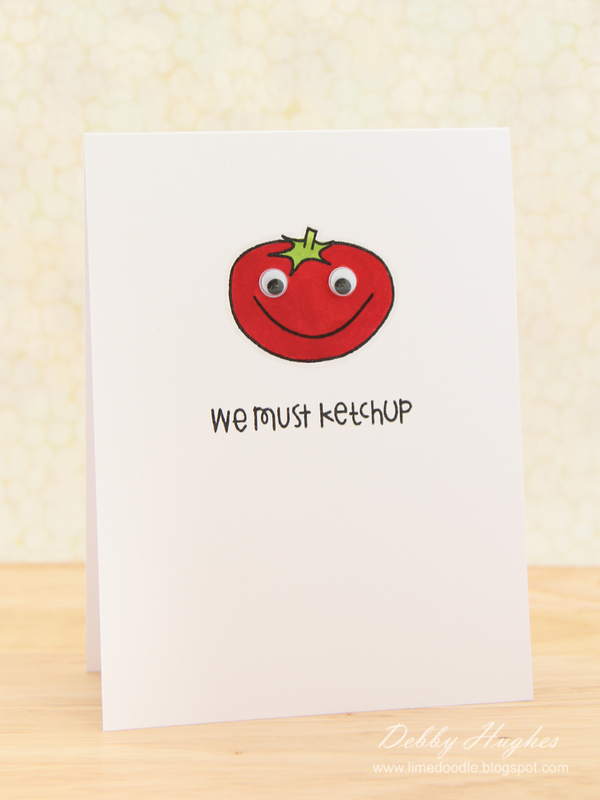 I especially like the tomato!